Turning Point Ensemble's Jump For Joy! - Oblivion Can Wait. On April 1, 2012 I went to a concert of the Turning Point Ensemble at the Fei & Milton Wong Experimental Theatre –Goldcorp Centre for the Arts at SFU Woodwards. The concert was called Jump for Joy! I can literally write here that the music I listened to with my good friend Graham Walker (I know of nobody else in my circle of friends willing to go to concerts of the avant-garde) was music to almost die for. It featured Igor Stravinsky, Duke Ellington (arranged by UBC composer/arranger Fred Stride), Brad Turner and Dave Douglas. More on that later as I regress to the dying part. Earlier on Sunday April 1st I was working in the garden with Rosemary and I was lifting heavy bags of manure and compost. Soon I could not lift my arms as my psoriatic arthritis had taken over my joints. I felt short of breath so I told Rosemary I was going inside. Such was my pain that I took two Tylenols and decided to see if a hot bath would help. While in the tub I felt a big knot across my chest. I had listened to a CBC Radio program a few weeks later where I learned that more women who go to hospital in heart related emergencies die than men do. The reason is that chest pains affect men but not necessarily women. By the time women decide a heart attack is in progress it can be too late! While in that tub I told myself I did not want to drown like Whitney Houston. I started calling for Rosemary. She could not hear me as she was in the garden. I shouted but that did not help. Finally she did come in for something else and heard me. I left the tub and got into bed. She brought me a large mug of tea and suddenly I felt no pain and a wonderful peace. I told rosemary that I really did not feel like going to the Turning Point Ensemble concert that evening but I had to go as I had two tickets and I did not want to disappoint Graham Walker. That was not to be. My doctor asked me if I wanted to take some sort of stress test but I told him I would wait a bit. I don’t think I had any kind of heart activity to worry about. And besides as my friend Abraham Rogatnick said a few weeks before he died, “After me, oblivion.” I am not worried. As for the music I will splurge here in my positive enthusiasm at being able to listen to good Duke Ellington. Where else in our Vancouver could this happen except in a concert by the Turning Point Ensemble? Not only were Stride’s arrangements wonderful the surprise of the evening was vocalist Jennifer Scott ( a good friend of my friend bassist Rene Wurst) who was just right. Stravinsky’s Octet for wind instruments made me think that an emergency/ambulance was going to have to be called (but not to me) as the wicked parts for bassoonists Ingrid Chiang and Jesse Read had them not being able to gasp for air as there were no pauses in the written music! For the beautiful Ellington The Clothed Woman a shortish man was incorporated into the orchestra. He had the smallest bass drum I have ever seen. All he seemed to do was to use his brushes on the snares every once in a while. His smile was boyish and engaging. I knew who he was! It was in Brad Turner’s Seven Scenes From Childhood (ample proof that contemporary music can be so without losing any lyrical elements, warmth and humour) that I watched the brush artist’s mouth expressions which were funny. You see the man was the composer himself, Brad Turner. Turner plays several instruments but it was in the sixth movement, Imagine How Good You’d be (If You Would Practice!) that he taxed the trumpet players (Tom Shorthouse and Jim Littleford and the pianist Jane Hays) as these must be his two favourites. Jane Hays played a remarkably Argentine-sounding Tango by Stravinsky that had me wanting to give her Argentine Tango lessons ( I don’t dance too badly) in exchange of suggesting that she not manhandle me as she usually does the pianos she almost always manages to demolish, but not quite. Her playing reminded me of my being the only customer for dinner sometime in 1964 in the then worse for wear but once glorious hotel Gloria in Rio de Janeiro ( scene in Fred Astaire and Dolores del Rio and Ginger Rogers 1933 film Flying Down To Rio). A stiff and serious man in tails walked in and sat at a Steinway and played old tangos. A waiter came up to me to ask we if all was right. It was! Dave Douglas’s piece Sand Hill had several sections of the orchestra in charge while director Owen Underhill lowered his baton. These sections would interrupt other sections with improvisations and they used urgent hand signals to signal off. It made Charles Ives’s The Unanswered Question (for two conductors) seem like a Strauss waltz. It was just the right amount of dissonance to clear my palate in preparation for the final number Igor’s Blues. And of course for anybody who loves trombones, I am one of them, there was plenty of that all evening with Jeremy Berkman and Sharman King (on bass trombone). 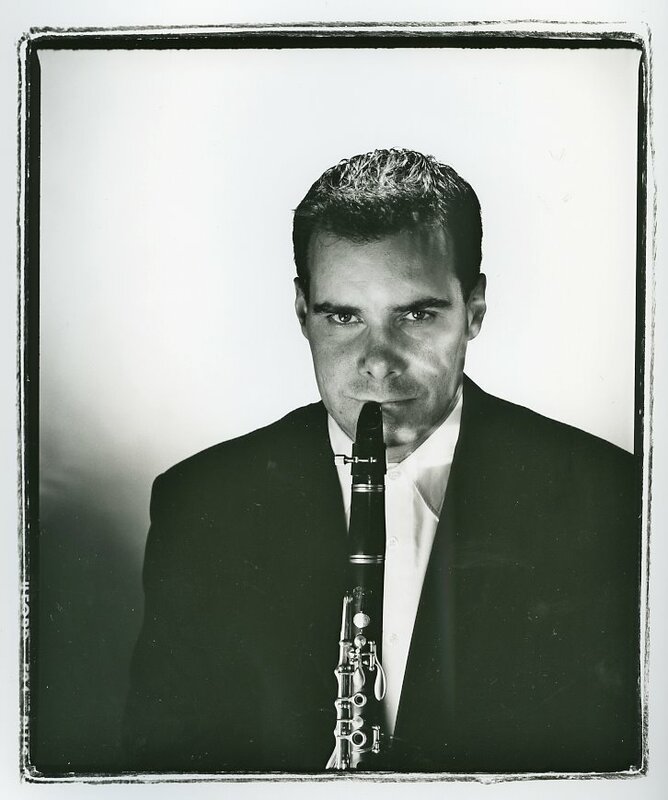 Not to mention, but I will, lots of glorious clarinet by François Houle, whose performance of Stravinsky's composition Three Pieces for Clarinet made me wonder why the VSO (Vancouver Symphony Orchestra) does not hire this busy man as a soloist. As I drove home I thought of Abraham Rogatnick and I told him (even if he is nowhere) that oblivion can wait, at least for a while. Link to: Turning Point Ensemble's Jump For Joy! - Oblivion Can Wait.